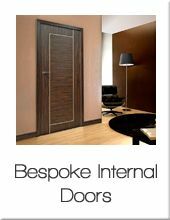 At Modern Doors we have a team of specialists who are highly experienced in the supply and installation of bespoke doors. We take great pride in our ability to manufacture made to measure internal and external doors within the UK to the finest quality while maintaining truly competitive prices and short lead times. 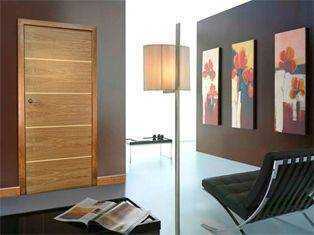 All our custom made doors are produced by skilled craftsmen using the latest machinery and manufacturing techniques. Our door designs are unique to our company. We strongly believe that this exclusive approach, combined with our ability to manufacture any bespoke timber door to your exact requirements in terms of size, design, timber species, inlay detail and finish is what sets us apart from our competition – quite simply, at Modern Doors we can guarantee that we are able to fulfil any individual design needs for our clients - from the discerning homeowner to highly sophisticated design projects - while always providing a truly first class service at exceptional value. 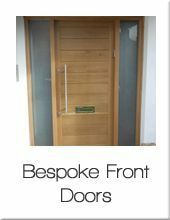 Both within this section, and our extensive Gallery, you will find a large variety of made to measure doors; some of which are photographs of doors that have been installed by our own team of qualified and skilled carpenters. My door dimensions fall outside of standard UK door sizes. I would like a door with my very own, unique design. I need a door with unusual shape ie arched or a combination door set. My door must meet certain unusual criteria - fire/energy/acoustic rating, disability/mobility requirements etc.